The year is 2021. You’ve finally attained your new passport and you’re ready to travel through Europe like your folks did back in their day. However, as much as you try, you cannot…a new rule has been put into place that means US citizens must go through the grueling process of getting their European Travel Information and Authorization System (ETIAS) registration completed. Alright, maybe I’m exaggerating a bit. ETIAS is predicted to only take a few minutes to apply for and will only cost applicants about $8. Currently US citizens are allowed to enter the EU’s Schengen Area as long as they have a valid US passport and a plucky disposition, so any labor added onto this load is quite the increase. But why is the rule changing and why is it the way that it currently is? Today we’ll be taking a look at the Schengen rule’s history, it’s potential future, and what it might mean for American citizens trying to travel through Europe. Blue areas are countries that are currently in the Schengen Area. Orange countries are in the process of joining. The Schengen Area is a collection of 26 European countries (not all EU member countries) that do not currently have border checkpoints along their shared borders that require the presentation of a passport. This means that if you as a US citizen were going to travel to the EU today you would be able to travel by land from… let’s say Portugal to Germany, and along the way you wouldn’t have to pass through a checkpoint and present your passport. To us in the USA this idea may seem a bit odd. We have rather strict border control here in the states with just our two neighbors, so how could 26 countries mutually agree to allow their citizens to travel freely between them? Well, there are many benefits to this rule’s existence. For one, let’s keep in mind that compared to the contiguous United States of America, most European countries are rather small. To give some more context, driving from Miami to Seattle would take about 50 hours to accomplish. When you compare that 50 hour drive to the 42 hours it would take to drive from Portugal to Estonia and then consider that on that drive to Estonia you’d end passing through 8 other countries I think the scale of the USA becomes a bit easier to grasp. So, we have a large collection of culturally diverse countries that historically have not gotten along. In the wake of the horrors that occurred during both WW1 and WW2 an effort began to be made to prevent other such wars from occurring in the future. This eventually culminated in the eventual formation of the European Union. Now with the European community closer than they’ve ever been in history, efforts were made to ensure that all European countries could benefit from both increased trade and security. The Schengen Agreement was signed in 1985 and went into effect in 1995. Essentially, it allows free travel for those within the Schengen Area. The consequences of the Schengen Agreement have led to an increase in trade among members of the Schengen Area as well allowed members to focus less of their defense budgets on protecting borders with their allies. As far as this rule applies to us here in the USA, it’s allowed for us to freely travel to a bulk of European countries without worrying about attaining a visa for each one. Furthermore, it greatly increases the speed at which one can travel within the Schengen Area. For example, once you’ve entered the Schengen Area, all travel within it can be done without presenting your passport at border checkpoints. This extends even to flights, and in fact all flights that occur within the Schengen Area are treated as domestic flights. Now, if you looked at the map above for even a moment, you may have noticed that one of the most popular tourist spots in Europe is not included in the Schengen Area; the United Kingdom. By extension, Ireland is also not part of the Schengen Area, not because it’s part of the UK, but because it shares an open border with North Ireland, which is controlled by the UK. Essentially, because the UK and Ireland share an open land border with no checkpoint requirements, Ireland is unable to enter into the Schengen Area as it could lead to Ireland being used as a staging point for foreign nationals entering the UK illegally. Just keep this in mind if you’re planning your dream trip to see all of Europe. Regardless of odd exemptions the rule has been a great boon to foreigners who wish to visit the EU and see all that it has to offer without the bureaucratic red tape that comes with strict border control. With changes in the international status quo come changes to established rules however. The Schengen rule as we know it today probably isn’t going anywhere come 2021. However the new rules could be a sign of a changing relationship between the USA and the countries of the EU. A recent Vox article describes this changing relationship, citing the incumbent US president’s negative view of the current US-EU Alliance. Additionally, the article mentions how five countries currently part of the Schengen Area still must obtain visas to enter the USA. This means that countries within the EU are receiving unequal treatment from one of their largest international allies. Some countries within the Schengen Area have recently temporarily reinstated internal borders: you can find a complete list of these countries here. This is most likely due to the threat of terrorism within the EU. Again, unlike the USA, the EU is connected by land to the Middle East. Additionally, several EU countries took in a large influx of refugees from nearby humanitarian crisis areas. Some conservative politicians in the EU cite these refugees in conjunction with poor individual border security as a rising threat to the stability of the region. A heightend sense of individual state nationalism in the face of immigration and acts of terrorism may lead to tighter border control between members of the Schengen Area. Should the EU dissolve in its entirety we could potentially see the end of the Schengen Area. While the EU itself and the Schengen Agreement are technically separate, the dissolution of the EU would be a sign of crumbling trust between EU member states which may ultimately lead to ex-EU members pulling from the agreement. While this future is unlikely, as seen with the UK’s Brexit movement, it’s not impossible for members of the EU to flirt with the idea of leaving. In fact, Brexit is currently threatening stability upon the border between Ireland and Northern Ireland as questions have been raised as to whether the border should remain open should the UK pull out of the EU. A few things to note, applicants must already have a valid US passport in order to apply and they’ll also need a method of online payment, which means a credit/debit card is required. Unlike a visa, the ETIAS will expire once your passport which means that you’ll need to get a new one, even if it hasn’t been 3 years. With this in mind, once 2021 rolls around, we’d recommend checking your passport before you plan on traveling to Europe to make sure you get the most out of your ETIAS. If your US passport is expiring soon, consider applying for a passport renewal. If your passport has been long expired then it may be time to apply for a new passport altogether. So as long as your face and name don’t end up on any of those lists you should be fine to gain entry into the EU. You may find yourself joining the 5% who don’t get instantly approved should you share a name with someone who is on the list, or if you are somehow related to someone listed on one of the databases. Do keep the fact that you could become part of that 5% in mind though. Don’t think that just because the chances of you getting approved lean in your favor means that you should wait until the day before you flight to apply. All in all this change won’t mean the end of the world for those of you who enjoy hostel-hopping their way across Europe. It just adds a simple step with a small fee, and if you’ve ever applied for a new passport or visa on your own, it should be a cakewalk. If you plan on traveling to EU before these new changes hit and need a new passport or a passport renewal, we’ve got you covered. 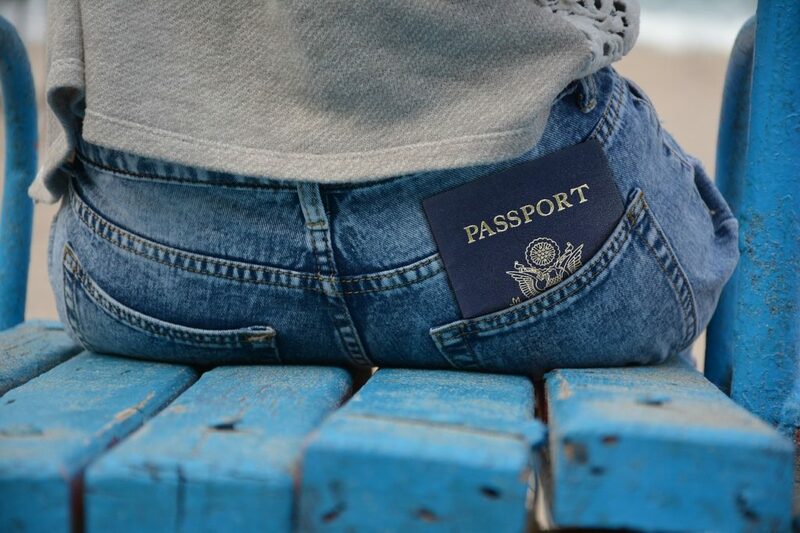 We at The Passport Office specialize in getting expediting passports for travelers traveling within 30 days. Visit our main website for more information and get your application started today. Posted in Latest News	| Tagged face, Faces, female, HusbandImposed, Iranian, Soccer, Star, Travel, U.S.
Only for this Texas experience, you need a passport. …. Driving lanes back up at rush hour, but customs and border agents told me the goal is to keep the wait under an hour, and walkers and cyclists hurry on the pedestrian lanes to jobs and appointments. Our Fastest Mobile Networks cars are on the road this week, collecting 3G and 4G speed and coverage data all around the country. This year, we have an extra connection in all three of our cars that we're looking forward to testing: OnStar 4G LTE.